Sometimes Mr. Wizard is very thorough, like when he explained how the LaserDisc worked. Other times, he just kinda wings it. Here's an example of Mr. Wizard (Don Herbert) taking apart an Atari 1200XL and its joystick, and pointing out various chips and things. In some places, he's right about what's happening, but he gets sloppy. For instance, when asked what a certain part does, Herbert says, "That one, from what I understand, is the color control. You can control the color image on the screen by, uh, juggling that." I'm not sure that's correct, and "juggling" is, shall we say, a nonstandard computing term. He also dramatically oversimplifies how the RAM chips work, and confuses them with video output. He (correctly) points out the eight RAM chips as being related to an 8-bit computer (this would be an efficient way to lay out RAM in such a machine), but it's extremely unlikely that those RAM chips are actually doing what he claims—creating images on the screen. Oh well, it's for kids. 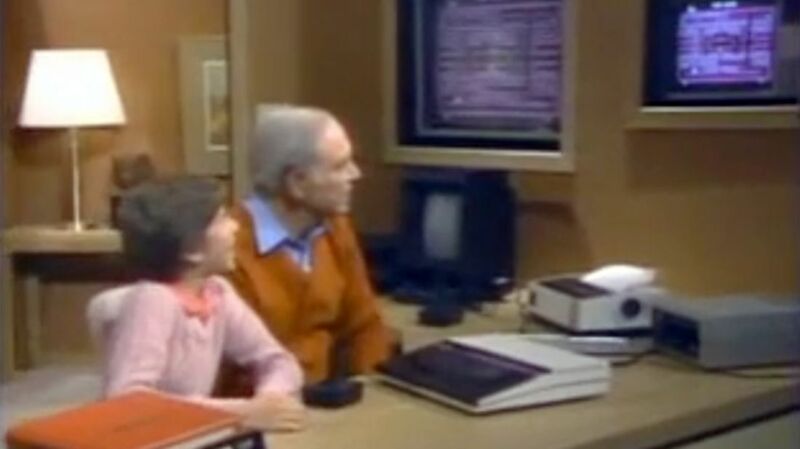 For a technical discussion of this clip, check out this comment thread on Vintage Computing. Incidentally, it's a life goal for me to have a room like Herbert has in this clip—cool monitors built into the walls, a Vectrex, big binders full of stuff. Perfect.